Dr. Wieland offers surgical and non-surgical techniques to restore health to the tissues that support the teeth and prevent tooth loss. Periodontics focuses on inflammatory diseases affecting the gums and other areas around the teeth. A periodontist is a dentist that specializes in preventing, diagnosing and treating gum disease and placing dental implants. Our periodontists are specialists in their field and always remain fully up-to-date with the latest research and treatments related to gum disease and periodontics. We are able to treat a wide array of relevant cases and can help if you have lost bone and tissue in the mouth, have an infected root surface or are experiencing gingivitis to give just a few examples. Most people assume their gums are healthy and spend time on more pressing problems. But the health of your gums may affect your physical health. Periodontal treatment methods depend upon the type and severity of the disease. Dr. Wieland will evaluate for periodontal disease and recommend the appropriate treatment. Gum disease is not usually painful to treat. We can offer local anesthetic if we think the treatment we give to you might be uncomfortable. It is important that you stick to an efficient cleaning regime before, during and after treatment. The treatment we offer consists of removing hard and soft deposits of Plaque and Calculus that are stuck to the teeth. We need to remove these meticulously to ensure the treatment is effective. Once these deposits are removed, you will have a clean oral environment for your gum tissues to heal. The treatment can take around 5-6 visits. 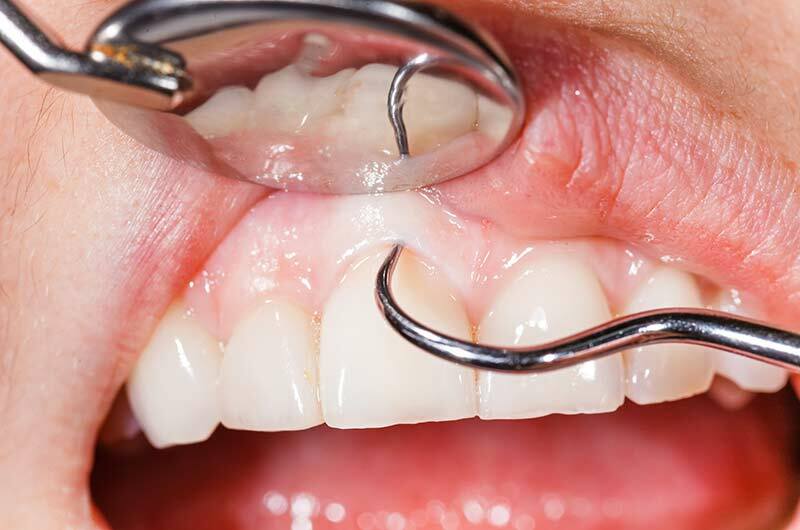 In rare cases, we do need to consider Periodontal Surgery.